Majesttic Ponds Rock Pads provide superior liner protection when placing large rocks. 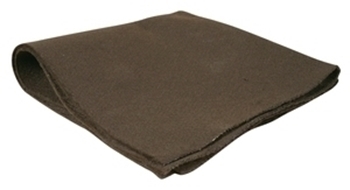 Made from heavy, non-woven 16 oz polyprolene fabric, Majestic Ponds Rock Pads are easier to use and offer more protection that folding thinner, regualr liner underlayment. Majestic Ponds Rock Pads are in stock and ready to ship!